as reported by Hirata Atsutane. Sosho is about 3000 years old. He lives in 岩間町愛宕山内 Mount Atagoyama.
. The Sennin Immortals of Japan . 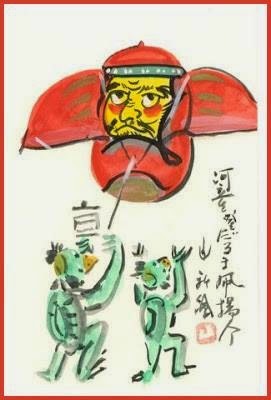 Torakichi claimed he was abducted and trained by tengu. A Japanese writer, Hirata Atsutane, interrogated him about his experience and wrote a book that was published in 1822. 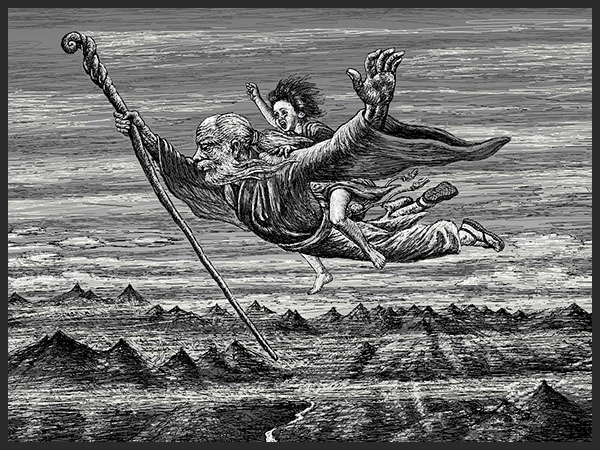 Tengu often abducted priests, but they would also kidnap children. Some were permanently damaged mentally by the experience. Others were delirious or unconscious for a few days before eventually recovering. 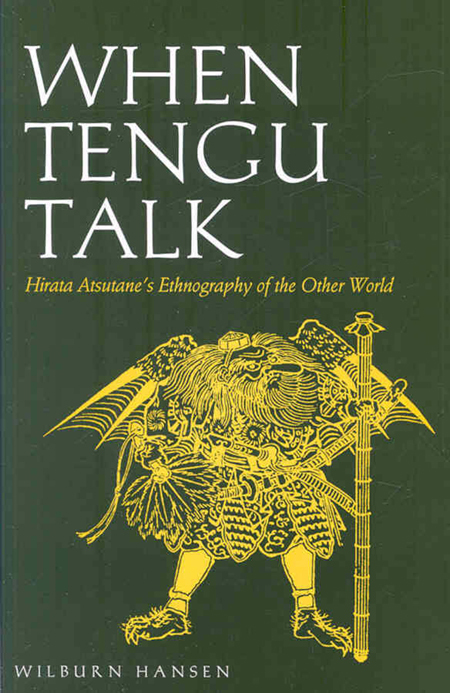 Renowned folklorist Yanagita Kunio said the boys of the mountain village where he grew up, as late as the late nineteenth century, talked constantly of their fear of being stolen by tengu. One of these boys came back much the better for it, though. Torakichi claimed he was abducted and trained by tengu. A Japanese writer, Hirata Atsutane, interrogated him about his experience and wrote a book that was published in 1822. 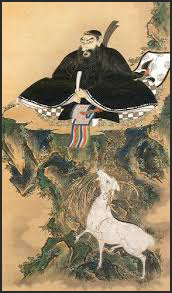 Whereas our shogun intends to visit the Nikko mausoleums next April: Now therefore, Tengu and other demons inhabiting these mountains must remove elsewhere until the shogun’s visit is concluded. So when Hirata heard of this boy who was telling stories of living with tengu, he wasn't interested in it as folklore – he took him at his word. So much so he abducted Torakichi from another scholar who was also interested in the story. To Torakichi, it probably didn't matter which scholar he lived with. He was a sickly child born into a poor family, and didn't have a lot of options in life. Hirata saw Torakichi as the source of a lifetime to confirm his theories, and Torakichi was fine with this arrangement. as well as the spiritual questions and the things we all want to know (what did it feel like to fly?). Some of his stories can be explained away as dramatization of rather normal things. He told one exciting anecdote of a creature that flew down and latched onto his face – it wasn't very large, but fierce and had sharp claws. This sounds a lot like a Japanese flying squirrel. Another time, he said he was attacked by a baby dragon that tried to pull him underwater, but it sounds a lot like he'd encountered a large snake. Torakichi was a city kid so natural things may have been unfamiliar and easily misinterpreted and turned into amazing stories. Other stories seem to be based on well-known folklore, like his tales of orangutan-like monkeys with human faces that are fond of sake – he said they made a particularly delicious liquor. But in other cases he's just a great storyteller, skilled at making up details that would excite his audience. "When one rises into the sky, one feels rather as though one is treading on soft cotton—it may be clouds for all I know. But as one is rushing along as though blown by the wind faster than an arrow, the only sensation one has is of a ringing sound in one’s ears. Some prefer flying high in the sky, others low, rather as some fish swim near the surface of the water, others down in the depths". "Do you take off from a mountain peak, or the top of a tall tree?" - - - - - "Not necessarily, You can take off from anywhere you like." "Is it cold or hot up in the sky?" "When you first leave the ground it gets gradually colder, but once you are past the cold pole it gets extremely hot. When you are just passing between the cold and hot regions you feel cold from your waist downwards as though you are standing in water, and burning hot above. When you get up still higher, entirely into the hot region, your hair begins to go into tight curls like those on a Buddha image. And when you get up really high you find very calm weather, with no rain or wind." "Your theory is flawed because it’s based on information you found in a book. I don’t know about books; I speak from seeing it up close." Also, since I [Hirata] find it very annoying when my nose hairs grow way out of my nostrils, I keep tweezers close by me so I can readily pluck those hairs. 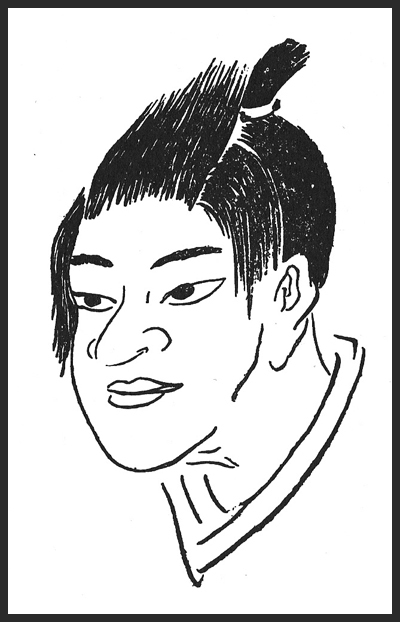 Upon seeing this Torakichi said, "Long nose hair is a sign of long life and my master believes they should never ever be plucked. My master’s nose hair is extremely long. Five or six have grown out of both nostrils and are so long that they are indistinguishable from his moustache. The master takes great care of that nose hair." After Hirata lost interest in him, Torakichi eventually found another way to earn his keep: as a Buddhist priest. (6 October 1776 – 2 November 1843) was a Japanese scholar, conventionally ranked as one of the four great men of kokugaku (nativist) studies, and one of the most significant theologians of the Shintō religion. His literary name was Ibukinoya. ..... Atsutane's influence on kokugaku has recently been thought to be overestimated. While he is called one of the "four great men of kokugaku", this is a phrase he invented himself. His work more often influenced religious groups than the government in the Empire of Japan.